I was in London this past weekend and had afternoon tea at the Blakes Hotel. I had ginger tea and delish scones with cream and strawberries…yum! 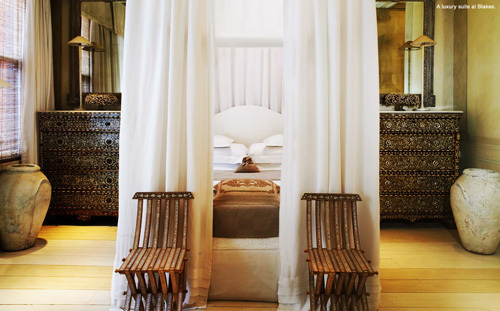 While the interiors are not so modern per se, Anouska Hempel designed impeccably luxurious and graceful suites with billowing drapes and a light palate that bow to the traditional vein and also manifest with a contemporary clean natural palate. Not too shabby for a stay, right? 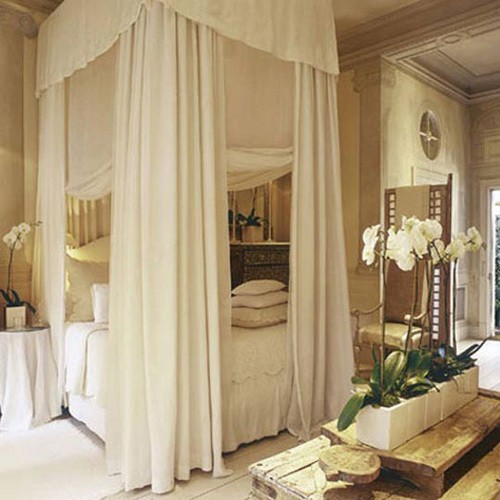 Such a princess canopy bed! oh wow – it’s so beautiful! Sad to see your slumming it : ) Looks amazing! ah! you stayed here? i would never leave and the ginger tea w. crumpets sounds amazing!! 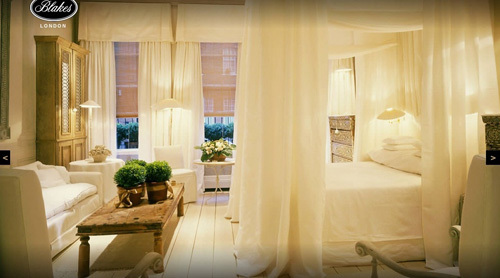 This is such a lovely hotel in London (I also always enjoyed the one in Amsterdam before it became the Dylan). glad I did.I will definitely be coming back. Wow,all the pics are superb.Its really something different from others.You have done a great job.I would like to read your more updates.Keep them coming. This hotel is really looking amazing.You have shared really great pics with us.I am looking for your more updates.Keep them coming.